Survey Junkie Review: Is Survey Junkie Reliable? Is It Legit or a Scam? What is Survey Junkie? Survey Junkie (SurveyJunkie.com) is not a market research company itself but just another lead generation website that sends you to their partnered survey panels. Is Survey Junkie a scam or a legitimate service provider then? Is Survey Junkie reliable? Read on and find out more. Obviously one of the greatest benefits of this particular program is that you can actually get started for free. There are a lot of schemes out there that charge lots of money up front in order for you to join. This is not one of them. This is a common strategy for survey sites all around the web. They claim that they’re going to provide you with surveys to do and get paid. The reality is that after you sign up all they do is point you and link to other actual legitimate market research sites. Survey Junkie claims to be “the most popular spot online to earn cash and rewards for sharing your thoughts”, but is that really true? Well if you don’t mind lots of junk mail you can actually earn rewards for filling out surveys provided by Survey Junkie and its partnered networks. In other words, they get all of your contact information and instead of supplying you with the actual surveys, they match you with the actual survey providers. That’s exactly I don’t like this kind of service provider because when you get signed up you are allowing them to give out your information to a 3rd party. What they are actually doing is creating an email list and then selling your information to other people. This is also the same reason why they are able to pay you even if you don’t have to pay a single penny. How To Make Money with Survey Junkie? Joining Survey Junkie is easy and free. All you need to do is provide a username, a password, and a valid email address. You have to be over the age of 18 and reside in the United States, United Kingdom or Australia.After that, you’re in, and you’ll be given 25 points as a bonus just for signing up. To start with, you will have to complete the profile questionaires. These questionnaires help you build a comprehensive profile about yourself, allowing them to match you to relevant surveys. The profile questionnaires are strictly private and will not be shared or sold to third parties. Everything at Survey Junkie is done on the point system, and you can cash in your points for either cash or gift cards. To earn points, you must successfully complete surveys, profile questionnaires, refer friends to participate or take other rewardable actions to earn points. You will know when an action is rewardable if it has designated points displayed within a green button. The website was very easy to navigate and the more surveys I took the more opportunities to earn money increased. The surveys I took at first didn’t make sense to me. I learned that the first surveys help determine what types of surveys you should be taking. Since Survey Junkie grabs surveys from such a wide variety of market research companies, payment rates will vary. For shorter surveys, you can expect to make from $0.50-$2, while longer surveys may pay up to $10. Once you reach 1,000 points ($10), you’ll be able to cash-out via PayPal, check, or even a wide selection of e-gift cards. Of course, this only applies to surveys you take through your account dashboard and not external survey programs joined through Survey Junkie. Your current points are displayed on the left panel of the members home page. This panel is known as the user dashboard, where always display your lifetime points and your current points. Lifetime points are the total points you have earned over the lifetime of your membership at Survey Junkie. Note that current points are the points you have not redeemed. These points are redeemable once you have reached a minimum of 1,000 points. 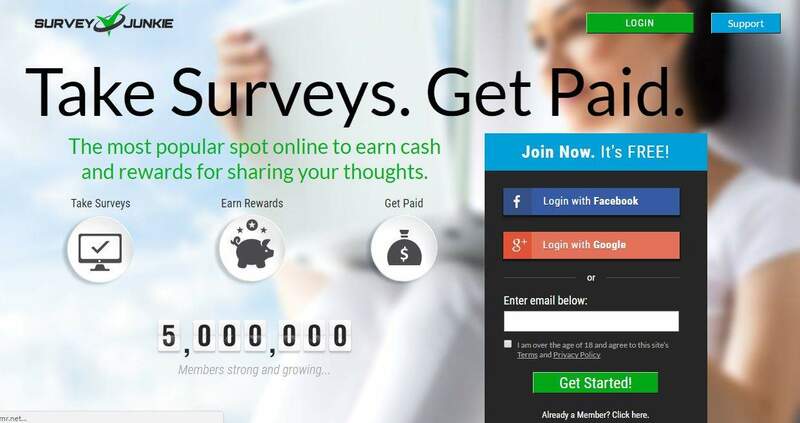 Survey Junkie is a free rewards program that pays you to take online surveys and is currently one of the most popular websites of its kind. The answers you provide are used to help companies improve their products and services. If you have been following my reviews, Better Business Bureau (BBB) has been one of my references to check the reliability of a company. At the time of writing, Survey Junkie.com is not on BBB and this can be a red flag. This may be an effort by the survey site to shy away from the responsibility of addressing queries raised via BBB. Survey Junkie does not admit members from all regions and as of now, only entertains members from United States, Australia, and United Kingdom. I don’t think SJ is a scam per se. But, I wouldn’t waste my time with them since every survey site they have in their database can be found online and you could sign up directly on their dedicated website. The number of surveys available is important when trying to estimate your potential earnings. When I signed up, I only got 6 and that’s why they encourage you to fill up the additional profiles (technology, shopping, health, household), which will serve to match the requirements for specific target groups. However, what is the point of having a thousand surveys available if you hardly ever get qualified? The other thing is to get prepared to get more spam messages and advertisements in your email because these companies who bought those leads will spam you will also the useless and crappy advertisements to attempt you to buy them where they will make money from your purchases. Why Survey Junkie Makes Sense? (-) Take a long time to reach required payout. (-) Long payment processing time. (-) Too many complaints from members. When it comes to its legitimacy, Survey Junkie is definitely legitimate but it is not on top of our list. I bet some people claim that certain survey panels are scams just because the earning potential is so low. I don’t think this is a good enough reason to brand something a scam. Survey Junkie clearly does pay out rewards to people that accumulate enough points BUT it is a tough job to accumulate points through Survey Junkie. Rather than signing up with Survey Junkie, why not joining a real survey panel? Some examples are MySurvey, Ipsos I-Say, Toluna, SurveySpot or Harris Poll Online? My advice is to always join more than one survey panel. That’s because you will not receive more than three survey invites per week from one single source. Survey Junkie is not a serious money-making opportunity. Some even say it is only great for wasting time. In fact, I don’t like the reliance on survey panels in order to make money. Instead, I do affiliate marketing (it’s different) and rely 100% on myself to build an income online. If you are interested in alternative ways to generate a real passive income online, you might want to consider running your own legitimate online business. For those who have tried Survey Junkie, share your experience with us. Next story E-Dinar Coin Review – What Is E-Dinar Coin? Is It Real or Just a Scammer’s Plot to Steal Your Money? 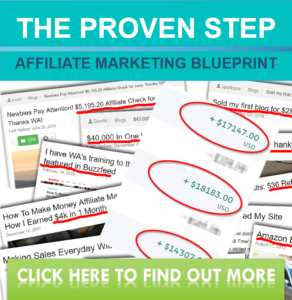 Previous story Wealthy Affiliate Review 2019 Update – How You Can Make Money Online with It?